Thornton Heath is in South London and located on the main A23 London to Sussex Road. Thornton Heath was a key link in the chain of connecting London and Croydon. 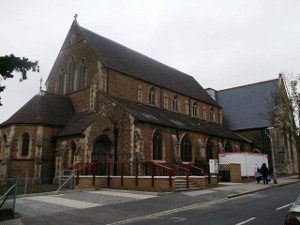 In the main the architecture in Thornton Heath is of Victorian descent with some fine buildings, such as St Alban’s Church and St Paul’s Church, demonstrating the fine architecture. St Alban’s Church was built in 1989 and 11 years later, in 1900, stands the Clocktower. Lanes School of Driving was founded in 1914. Since then, generations of local drivers have passed through its doors and emerged with a driving test pass certificate. Lanes is proud of its excellent reputation for quality driving instruction. At Lanes, pupils are treated as unique individuals. Our courses are specially tailored to each pupil’s strengths and weaknesses. Lanes offer intensive driving courses for faster learning. Theory lessons can be incorporated with practical lessons, or taken separately. When pupils have passed their driving test, they are offered more advanced courses: These include: Pass Plus, Motorway Driving, Parking Skills and Advanced Driving. Lanes understands that many students have packed schedules. Lanes gives pupils considerable flexibility over when their lessons take place. Regular weekly lessons are encouraged, but single lessons are also available. To ensure the best learning experience, Lanes offers every pupil one on one instruction with their instructor. Lanes has a fleet of well-designed and technologically advanced cars. Lanes is happy to pick pupils up before every lesson and drop them back home at the end. Lanes have been providing driving lessons in Thornton Heath, London for many years. Please call us today on 020 8166 5678 or click here to send us an email via the contact page. Lanes have a team of driving instructors available; well over 40 in number. Pupils can choose the instructor they prefer. Our instructors have years of experience and have taught pupils from age 17 to age 70. They are well aware that pupils can feel nervous and will be on hand to offer reassurance. Lanes’ instructors are all registered with the DSA and they are fully qualified Approved Driving Instructors. Pupils will remain with the same instructor throughout all their lessons to ensure the fastest progress. Lanes have a team of driving instructors in Thornton Heath, London. Please call us today on 020 8166 5678 or click here to send us an email via the contact page. Lanes is sympathetic to the anxiety first time drivers can feel. Anxious female learners often are reluctant to be taught by a male driving instructor. Lanes therefore allows female drivers to select a female instructor. Our female driving instructors have an easygoing approach to teaching. Pupils will learn faster when they feel calm and relaxed. Lanes have a selection of female driving instructors in Thornton Heath, London. Please call us today on 020 8166 5678 or click here to send us an email via the contact page. Many pupils would rather learn in an automatic car. Manual cars offer greater control to drivers. However learner drivers can find the complexities of manual driving to be off-putting. Automatic cars free pupils from the stress of having to think about gear changes and clutch control. We find that pupils usually progress faster in automatic cars. Lanes have a selection of automatic driving instructors in Thornton Heath. Please call us today on 020 8166 5678 or click here to send us an email via the contact page.